The 2018 Chevrolet Suburban leaves the 2018 Nissan Armada desperately lagging behind. 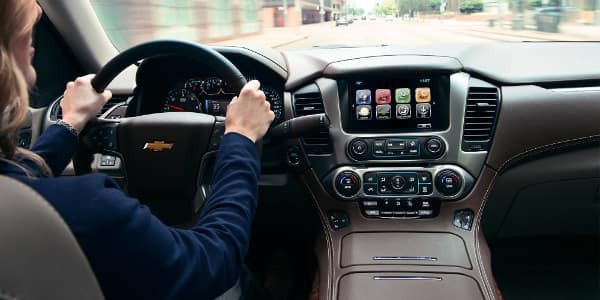 We are certain that the buyers of Valparaiso, IN are aware that, Chevrolet in general, is a tough competitor to beat, and its latest Suburban is a massive testament to that. Of course, Mike Anderson Merrillville is the only and best place to but this latest stunner, with our great customer service and brilliant pricing structures. The 2018 Chevrolet Suburban suits us perfectly. The interior is quite luxurious and feels like home. This is quite fitting, seeing that the 2018 Chevrolet is labeled as a large luxury SUV. It surely lives up to its name in a number of ways. The interior cabin space can be likened unto an apartment found in Manhattan. This is the true magnitude of the enormously massive size that can be enjoyed when needed. The V8 engine is something that offers great power and performance thanks to its enormous strength. Towing capabilities are also very relevant when purchasing an SUV of this caliber and the 2018 Suburban continues to impress. It comes with a wondrous towing capacity that will make any long distance family vacation the simplest of tasks. 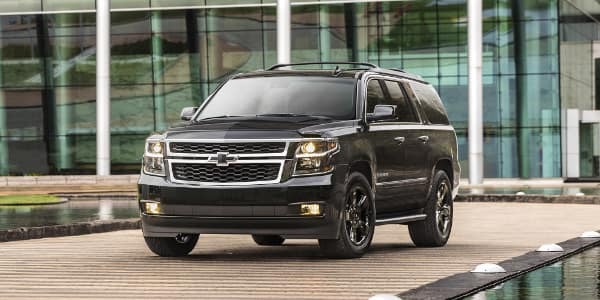 Add to this the brilliant fuel efficiency that the Chevrolet Suburban offers for its immense size, and you should ask yourself why you haven’t bought one from us as yet. Despite its size, the 2018 Chevrolet Suburban makes a rather impressionable drive with the use of its V8 engines. The ride is smooth and impeccable. Power can be transmuted either to the rear wheels, or to all of the wheels. This is made possible by the automatic, 6 speed transmission setup which is column shifted. Strong acceleration will have you pleasantly surprised when you just need that little extra bit of exhilaration on your drive. The gear changes are just as smooth as the ride itself, and fuel saving is made possible thanks to a ‘coasting feature’. This technology cuts out half of 2018 Suburban’s Cylinders with the light load or while coasting. The dull handling of the 2018 Nissan Armada frankly does not do it any favors. The vehicle is sluggish at the best of times and offers a stiff driving experience. 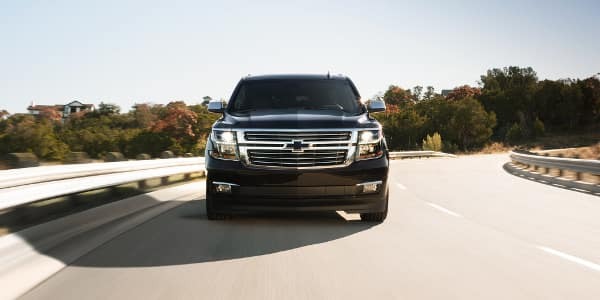 The 2018 Chevrolet Suburban has respectable fuel economy ratings for its size and weight, at 16 mpg, city, 23, highway and a combined 19. The 2018 Nissan Armada disappointingly offers, 14, 19 and 16 mpg. Not much can actually be said to motivate the purchase of the 2018 Nissan Armada. The 2018 Suburban comes with a V8 5.3-liter engine across the entire range. This 355 hp and 383 pounds per ft of torque monster have ample power to excite even the most adept driving enthusiast. The 2018 Chevrolet Suburban has some market leading interior spaciousness. Quality has been graciously included in all the models in the range, including the base trim. Great value for money can be found in the interior stylings and finishes of the 2018 Suburban. The center console is wide and adequate for storing belongings while traveling. The cloth upholstery has a nice feel to it, with the option of upgrading to leather coverings. The surfaces are all soft to the touch, while pristine French stitchwork adds an absolute level of class and sophistication. Nine passengers can comfortably occupy the Suburban, with more than enough room for everyone. The legroom offered is immense, and this is largely thanks to the 130-inch wheelbase of the vehicle. Impressive cabin space makes storing large amounts of cargo or luggage an effortless task with the 2018 Chevrolet Suburban. At least 40 cubes of spaciousness can be utilized behind the seats of the third row. With the seats folded away, the room increases to 77 cubic ft. If a mobile apartment is what you are looking for, you don’t have to shop around town, just fold down both the second and third-row seats. The 122 cubes of space will make certain that you have a more than comfortable night. On another note, for the 2018 Nissan Armada that is, it only offers, 16.5, 50 and 95.4 cubic ft respectively.